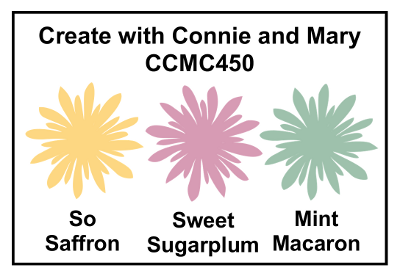 There's a very sweet colour challenge at Create with Connie and Mary this week. 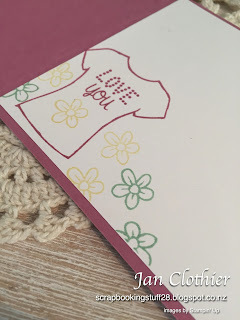 One of the sets that I bought from the Occasions catalogue has languished pretty much unused for some time now, so I got out Custom Tee for this challenge. It's going to be a great set, very versatile, I think. I thought initially that this would be a nice card for a mum to give a daughter or friend but I guess it could just as well be to any loved one or even for a mother's day card. The background is lively and busy, so I left the t-shirts quite plain with two of them alike, representing all the rest of the million! I'm entering this card into the challenge at Connie and Mary's Facebook page.